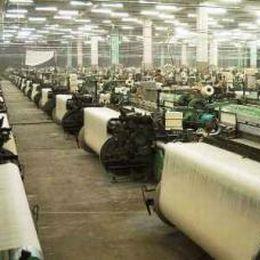 The Ministry of Finance is considering a proposal of loan restructuring for the textile sector and a decision in this regard is expected soon. The textiles ministry has been following the matter with the Reserve Bank of India (RBI) and the finance ministry after considering the industry's demand for re-setting of bank loans worth Rs 1 lakh crore. On the sidelines of Apparel Export Promotion Council (AEPC) function, Textiles Secretary Rita Menon said, ‘we had a meeting with finance ministry day before yesterday and they have given us 10 days time, so we hope we can have something before New Year.’ Further the finance ministry is likely to examine the cases of sickness in textile units and accordingly prepare a report, which would be followed by inter-ministerial consultations. Textile sector has been hit hard by a sharp fall in cotton yarn prices, poor domestic demand and curb on cotton yarn exports in last December. Now, SMEs in sectors like silk, power-loom, spinning are facing difficulty to repay term loans and financing working capital on the back of high interest regime.